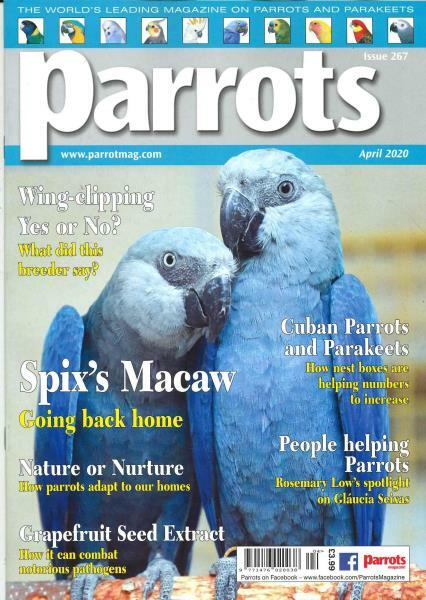 If you have a parrot pet, then it is most essential for you to also have Parrots magazine. In its 12 issues of the year, the magazine shares everything you would ever want to know about a parrot pet keeping. It has the glory of being a highly read magazine by pet keepers on parrots and parakeets. With all the news and information on parrot keeping, breeding, caring and veterinarian etc, the magazine breathes with lively and amazing photographs of the colorful bird with their sometime happy and sometime quirky expressions. The content has informative tone with tons of information on parrot’s health, care and breeding. The experts and fellow parrot keepers share their wealth of knowledge in form of interviews and articles that are easy to understand and cover maximum relevant inputs. The advices and tips shared in the Parrots magazine are most trusted as they come from most experienced and trained parrot keepers. The magazine may become extremely helpful through its detailed guides on different varieties of parrots, parrot food, diet, bird food recipes, general care, training and even parrot’s bed and blanket. It also has an emphasis on featuring different products pertaining to parrot care to make the life of the lovely bird much more qualitative and comfortable. You may find some of the featured stories of various pet keepers from all around the world to be amusing whereas some of them could be absolutely heart shredding.